The month of October was a lovely time in the Parish. Each of the Harvest Festival Services were very special indeed, with large congregations and beautifully decorated churches – truly uplifting. We were also so fortunate with our special preachers whose preaching lifted our spirits and inspired our faith. I hope that the events during the month of November will be equally inspiring and uplifting. I warmly invite those parishioners who were not able to join us during October, to come to the various special Services this month. The Confirmation Service will be held this Sunday, 29th October, at 11.00 a.m. in All Saints’. We look forward to welcoming Bishop Storey who will preside and preach at the Confirmation. We also hold in our prayers the young people who are to be confirmed: Josh Farrell, Ross Ashmore, Ronan O’Neill, Liam O’Fearghail, Rachel Holmes, Ciara Mulhern, and Ella Shaw. This is a very special occasion for the young people and their families and it would be lovely for them to be supported by parishioners at their Confirmation. All Saints’ Patronal Festival. The Service will be held on Sunday 5th November at 11.00 a.m. in All Saints’. This year we are very privileged that the Dean of St. Patrick’s Cathedral, Dublin, has accepted our invitation to be the special preacher. This will be the Dean’s first visit to All Saints’ and I do hope parishioners will come in large numbers to give him a very warm welcome. Remembrance Sunday. 12thNovember 11a.m. This is a very poignant Service each year and the Remembrance Service will be held in All Saints’. The special preacher will be Canon Patrick Lawrence. At the Service a number of organisations will be represented and we will have the cascading of the poppies during the 2 minute silence. Children’s Festival Service- Sunday 19th November 11a.m. This Service will be held at 11.00 a.m. in All Saints’ Mullingar. This is a very special occasion of praise, music, dance and prayer. Last year just over 100 children took part in the Festival and I hope again, this year, that parishioners will come along to support the children at this very inspiring occasion. Boys’ Brigade and Girls’ Association Enrolment Service. This will be held on Sunday 26th November at 11.00 a.m. in All Saints’. This year the Company has the largest number of children since the launch of the 1st Mullingar Company of the Boys’ Brigade and Girls’ Association in September 2009. I do hope that parishioners will attend to show their support to both the leaders and young people. 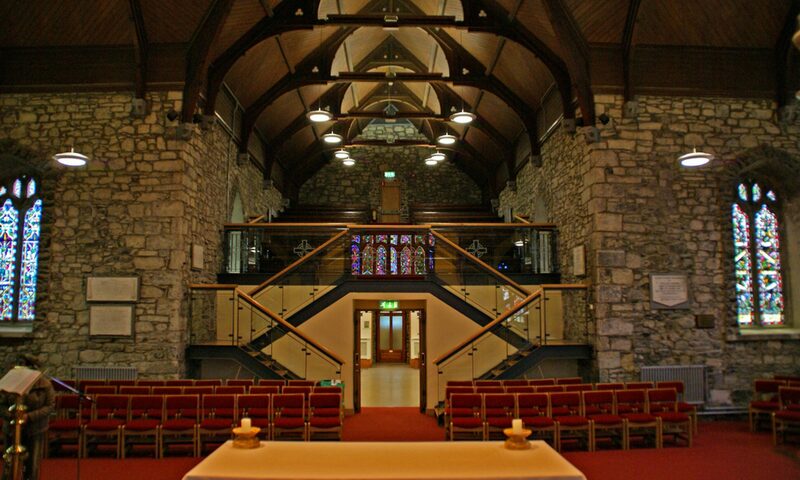 The Ecumenical Carol Service will be held in All Saints’ on Sunday 26th November at 7.00 p.m. This year the Carol Service is being held a week earlier as we want to give our full support to the Mullingar Choral Christmas Concert to be held on Sunday 3rd December. A Diocesan Service led by our Bishop will be held in All Saints’ on Sunday 5th November at 6.00 p.m. At this Service we will be offering thanks to God for the amazing success of the Diocesan Appeal which supports those suffering from leprosy in India. Our Parish has contributed €5,000 to the Appeal and I would like to thank everyone for their generosity. There will be a Service of Communion in All Saints’ church at 12.00 noon. The All Saints’ Whist Drive will be held on Friday 3rd November at 8.30 p.m. This is the first Whist Drive for this season and is always a most enjoyable occasion. I warmly commend the Whist Drive to you and everyone will be made most welcome. The AGM will be held in the Rectory on Thursday 16th November at 2.00 p.m. This important fundraiser will be held on Saturday 18th November in the Park Hotel Mullingar. If you would like to attend the Ball, tickets are available from Veronica Larkin on 086-0272710. This important occasion will be held on Sunday 19th November at 2.00 p.m. in Belvedere. Your presence will be very much appreciated. The next meeting of the Select Vestry will be held on Tuesday 28th November at 8.00 p.m. in the Rectory. The Christmas Whist Drive will be held in All Saints’ on Friday 1st December at 8.30 p.m. Wonderful festive prizes and a delicious supper to be enjoyed. The new session of JAM (Jesus and Me) will be held on Sunday 5th November in All Saints’ at 11.00 a.m., and in Killucan at 11.30 a.m. I would like to thank all the leaders for their support and encouragement and I earnestly invite parents to bring their children along as Sunday School is very important in helping children learn about the Christian faith. Support from grandparents would also be invaluable!!! We warmly congratulate Harvey John Carr who was baptised in All Saints’ on Sunday 22nd October. We pray for Harvey, his parents and godparents as he begins his journey of faith. On Saturday 30th September, Pat Farrell passed away peacefully at home following a long illness which he bore with enormous courage and dignity. Pat and Nicky Farrell had moved from Dublin to live in the Mullingar Parish a few years ago and, sadly, Nicky passed away almost four years ago. Following her death, Pat devoted his life to the loving care of their only son Josh who finished in All Saints’ National School last June. We pray that Pat, now in the fuller presence of God, may rest in peace. We offer our deepest sympathy to Josh and to both sets of his grandparents, who have given outstanding support and loving care to Josh, along with the members of both their families. Josh is a delightful boy, greatly admired and loved by everyone in the Parish. We will continue to surround Josh with our prayers and support at this very difficult time. We pray that God will provide him with the strength and confidence to meet the days ahead. We offer our deepest sympathy to Arthur and Marian O’Toole following the death of Marian’s sister-in-law, Joan. Joan showed great dignity and courage with her very challenging illness and we pray that, after her long struggle, she may now rest in peace in the fuller presence of Almighty God. Her funeral took place in Tipperary and we pray for her husband and family. May Marian and Arthur be comforted by their warm memories of her and in knowing that God’s promises are true. Coffee is served every Thursday in All Saints’, from 10.30 a.m. to 1.30 p.m. Do join us for coffee and help support those organisations helping people in need in Mullingar. Your Hosts are Arthur and Marian and they bring with them a wonderful assortment of homemade delights. This Months Charity is St Dominiks Meals on Wheels Mullingar .